I’m honored and grateful to Scott DeWoody and the American Society of Architectural Illustrators for receiving this years’ Scott DeWoody Juror Observational Award, for my painting of the Criterion Apartments in Santa Monica. This personal painting shows one of my favorite buildings in Santa Monica in after noon light. It will appear in the 32nd annual Architecture in Perspective catalog published by the ASAI. The American Society of Architectural Illustrators is an organization that promotes professionalism and artistic integrity in the field of architectural illustration. Please see their website at www.asai.org. 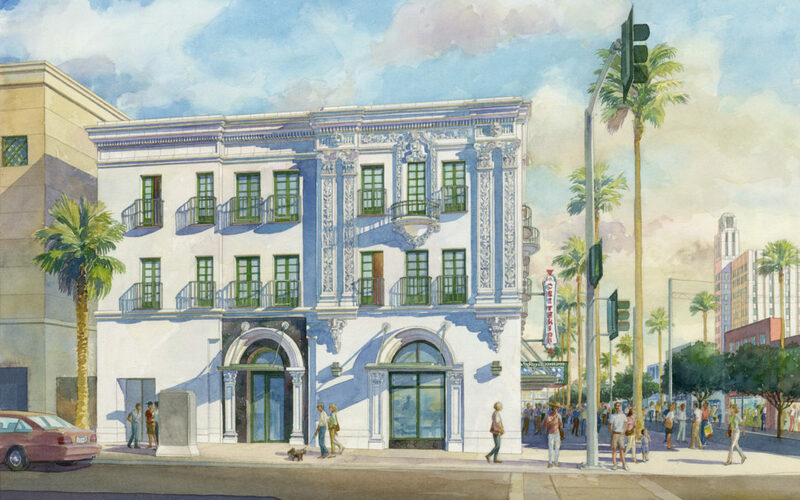 Million Dollar Theater watercolor rendering awarded the ASAI 2016 Observational Award of Excellence!